While packing for Italy I was pretty focused on finding casual, easy dresses that didn't break the bank. 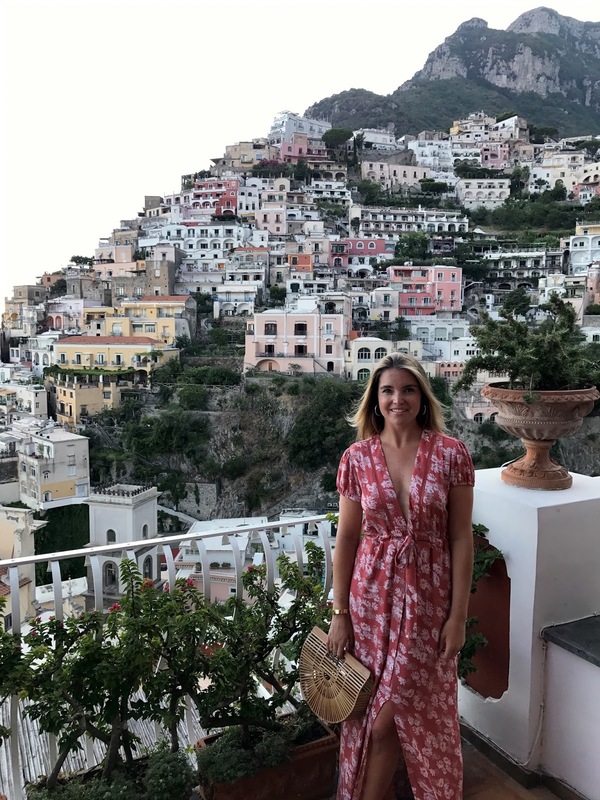 I have been a big fan of WAYF for a few years now and I purchased two of their dresses for my trip (currently wearing the other one as I type up this post!) I will be honest and say I much prefer jeans over a dress but once I find a few dresses that I am comfortable in my "I should have worn jeans" voice starts to fade away. It was definitely a challenge finding a few solid dresses before my trip, I felt like I was constantly ordering and returning but when I kept two WAYF dresses ( I actually really want this one) I knew I had to spread the word on how much I loved them! Italy recap coming Monday and lack of shoes in this photo due to my husband's photography skills!